” when we were together we mostlly played with words and tried to laugh away our best opportunities. Whenever there is the least sign of the nest becoming a jealous rival of the sky .. my mind, like a migrant bird, tries to take … flight to a distant shore.” – he wrote. She – Victoria Ocampo, the ardent Argentine admirer. It was a subtle affair, a platonic love, born on the banks of the river Plata.They spent together two unforgettable months in 1924 at the villa Miralrio of Victoria with a view of the river,in San Isidro on the outskirts of Buenos Aires. The river Plata was flowing quietly overhearing their light conversation and heavy breathing. The famous Tipa tree in the garden of the house was bending and crouching …listening to the silence of the couple who used to sit under its shade.He called his muse Bijaya ( victoria ). One third of his Purabi poems are said to be inspired by this Argentine angel. Rabindranath Tagore (winner of the Nobel Prize for Literature in 1913) was a restless and indefatigable globe-trotter. There is no doubt that he was a genius. Nirad C. Chaudhuri places him alongside Goethe and Victor Hugo. No ordinary praise. 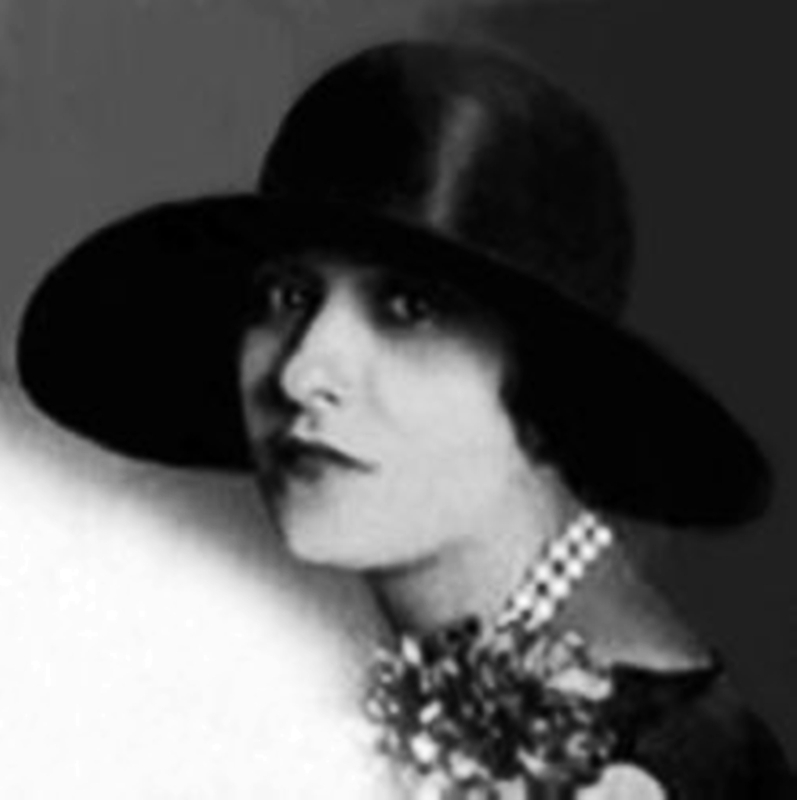 In November 1924 he arrived in Buenos Aires. He was well known in South America. He was widely read, not only in academic and scholarly circles, but also by many other Argentinians. 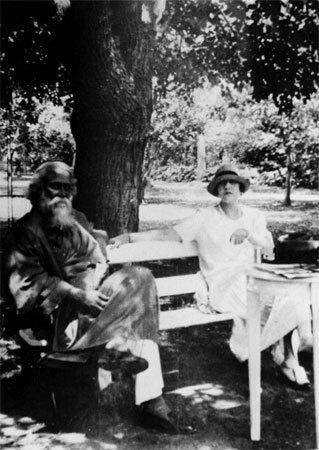 When she learnt of Tagore”s illness, she went to the hotel in which the poet and Elmhirst were staying. She invited them to move to her palatial villa, Miralrio San Isidro. 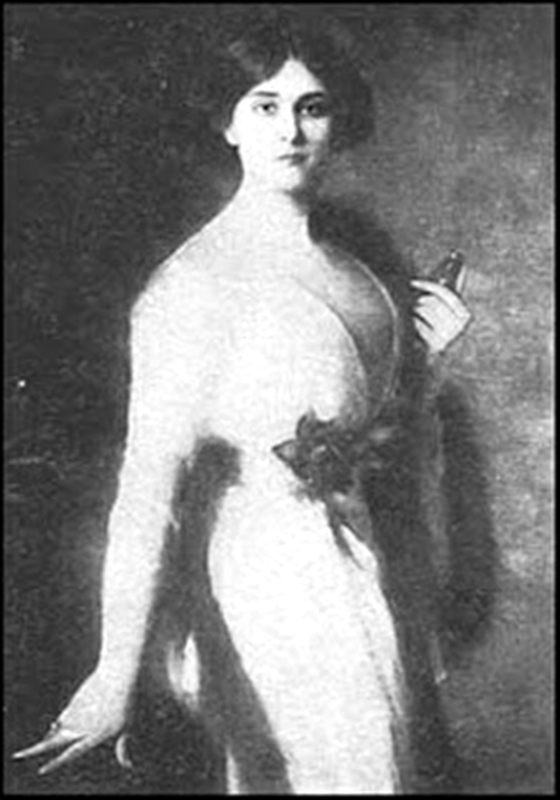 Elmhirst was not comfortable at San Isidro and wrote scathingly about the beautiful and somewhat over-possessive lady. A pair of sunglasses, a book of poems, old gramophone records: These and other items brought back to Santiniketan from Argentina take one to the early 20th century and the enigmatic relationship between Argentine writer and feminist Victoria Ocampo and Noble laureate Rabindranath Tagore. The much written about relationship flourished across two continents and spanned decades. 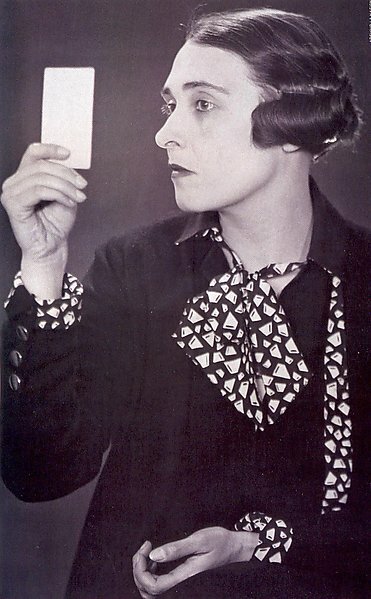 There were many letters and gifts exchanged between the two, which speak of a deep affection. The Tagore memorabilia, a recent acquisition of the Rabindra Bhavana Museum at Visva-Bharati University in Santiniketan, was handed over to the authorities by S.P. Ganguly, a professor of Latin-American studies in New Delhi’s Jawaharlal Nehru University. Ganguly gained possession of the items from Ocampo’s trusted aide Maria Renee Cura in 2002. “The gifts exchanged between the two preserved by Cura encapsulate the intensity of Tagore’s and Ocampo’s feelings for each other, the desire for each other’s company. It was a deeply spiritual and emotional association, and each of them was influenced by the other,” Ganguly told IANS. One of the gifts is a copy of the book “Puravi” (authored by Tagore in 1925) that the poet had autographed and gifted to Victoria Ocampo in 1940 – that contains poems dedicated to her by the author. “Tagore had composed around 400 poems on love and nature. Many of them came after meeting Ocampo. “Puravi” contains all the poems that Tagore had composed with Victoria in mind,” said Ganguly. Tapati Mukherjee, director of Rabindra Bhavana, considers the copy of “Puravi” the most important piece of the memorabilia. “We can safely say that Tagore had affection for Ocampo. The copy of “Puravi” is the most important of all the gifts,” Mukherjee told IANS. 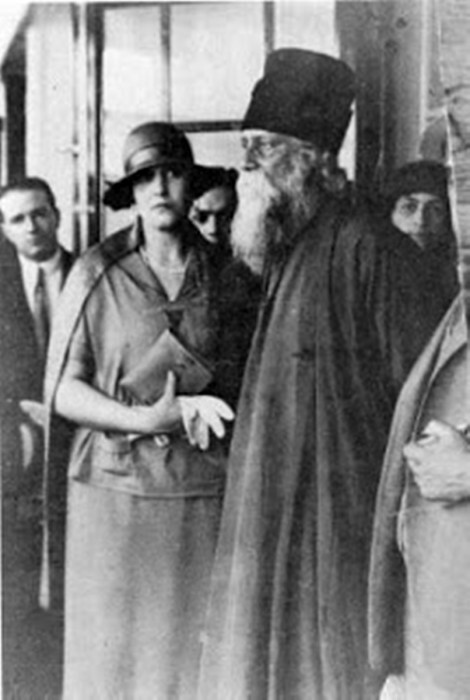 Ocampo was introduced to Tagore’s work on reading his “Gitanjali”, which she read after Tagore won the Nobel Prize for Literature in 1913. Ocampo read Andre Gide’s French translation of “Gitanjali”. 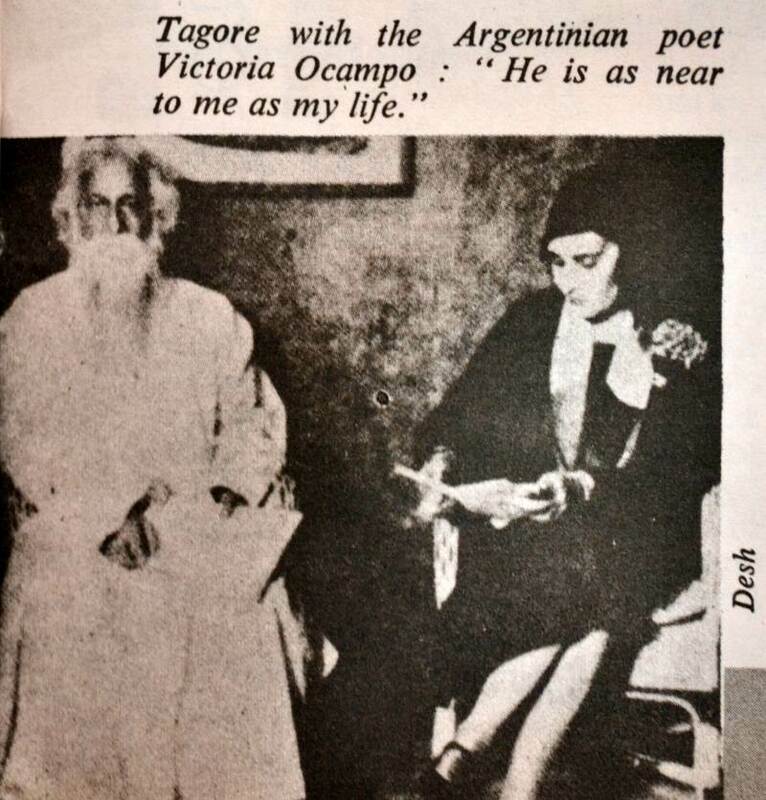 Tagore and Ocampo met for the first time in 1924 in Argentina when Ocampo was a 34-year-old emerging writer and Tagore was 63. 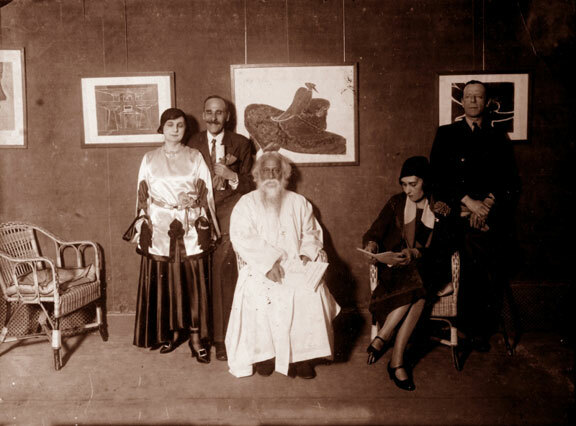 Ocampo or “Vijaya” as Tagore called her, met him again in 1930 in France, which proved to be their last meeting. 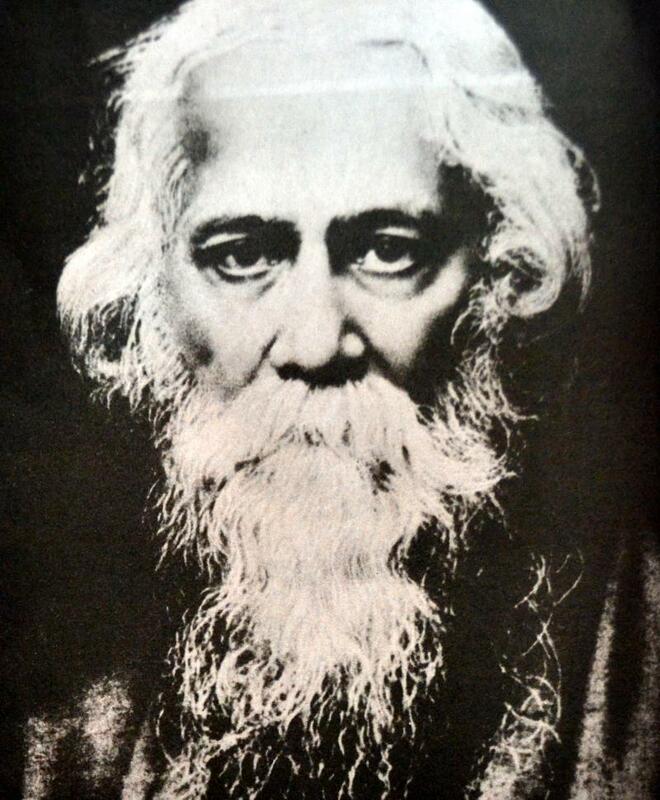 However, over the years, both exchanged innumerable letters and gifts until Tagore’s death in 1941. 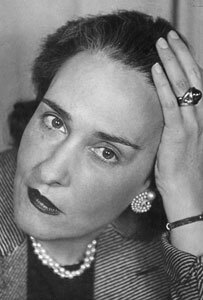 ‘Now, tell me, what is the title of the poetry book you dedicated to me?’ Victoria Ocampo to Rabindranath Tagore, 8 June 1940. ‘It is named Puravi (the East in its feminine gender)’. Rabindranath Tagore to Victoria Ocampo, 10 July 1940. The volume of poetry, Purabi, was dedicated by Rabindranath to Vijaya (the Bengali name given to Victoria) in 1925. Fourteen years later – on 14 March 1939 – Rabindranath wrote to Vijaya of ‘some experiences which are like treasure islands detached from the continent of the immediate life, their charts ever remaining vaguely deciphered’ – adding, ‘my Argentine episode is one of them’. The elusive memories of those enchanting days had been ensnared in the web of some of his verses – ‘the best of their kind’. The ‘fugitives’ had been made ‘captive’ and ‘they will remain’, the poet was confident, ‘though unvisited by you, separated by an alien language’. Seventeen poems from Purabi form the core of this volume of translations of fifty-two selected Tagore poems and songs. Purabi not only signifies ‘the East in its feminine gender’, as the poem put it, but also is the name of a wistful evening ragini whose spirit and mood seem to pervade this remarkable phase of Rabindranath’s poetic life. This phase reveals a very different Tagore from the one the West came to know with the award of the Nobel Prize in Literature for Gitanjaliin 1913. O Urbashi, denizen of heaven! Bashfully to meet your lover. And no embarrassment you suffer. With a pot of poison in your left. Lowering myriad of its spread-out hoods. Weren’t you ever a budding teenage girl? Your childhood’s games all alone? And lay their spiritual gains at your feet. 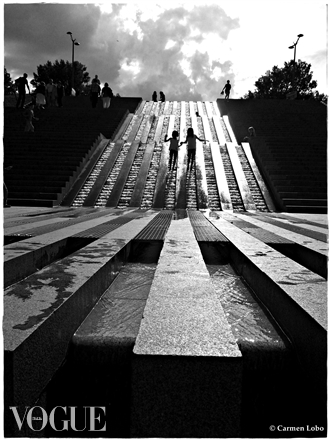 With the longing of youth. Quick as a lightning flash. Stars shoot out in the sky. O Urbashi, Temptress of the World! 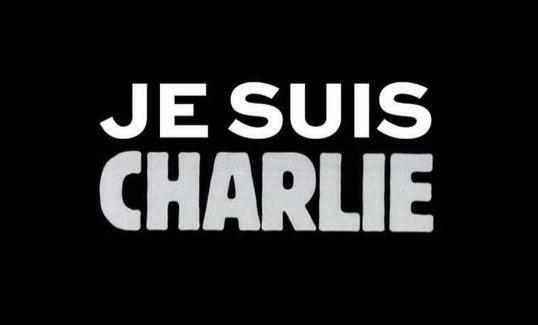 Is painted in the blood of its heart. 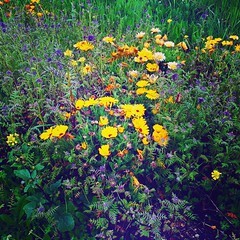 To this old and primeval world? From the boundaries and bottomless abyss? Will weep in dripping drops of water. In a burst of wonderful song. And Urbashi’s sun is set. And tears in abundance flow. You are free from all ties. In 1924, while writing “Purabi,” Tagore started “doodling” on the pages of his manuscript – crossing out lines that he did not like and turning them into forms and shapes. Rabindranath creatively used his lack of formal training in art by experimenting new horizons in the use of line and color. He would delete unwanted words or even whole lines by creating strange intriguing images so that the whole page became a work of art. Although, monochromatic to start with, which always carried a mysterious signature, his paintings began to acquire color as be became surer of his style. Pen and ink drawings came first, followed by the use of one or more colors in landscapes, figures and portraits – he tried his hand at everything. LOVE BLOSSOMS AT THE RIPE AGE. CAN HAPPEN ONLY AMONG CREATIVE SOULS. itt affter that my liinks will too. The genius of Rabindranath Tagore was rekindled by the great Argentine lady at an appropriate time as the poet was then sick and jaded. This had helped him to reinvent himself and add another dimension to his creative genius through painting and art.